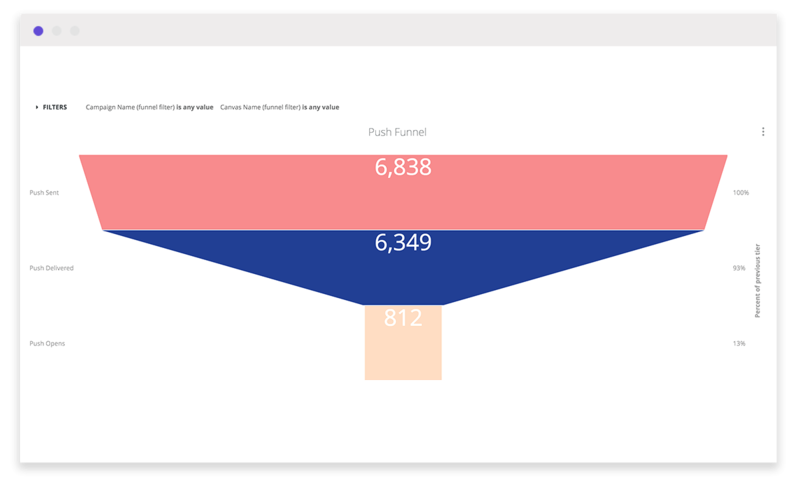 The Braze Currents Message Engagement Block comes pre-loaded with Views, Models, Explores and Visualizations for Braze customers using Currents, with a focus on Message Engagement event types. 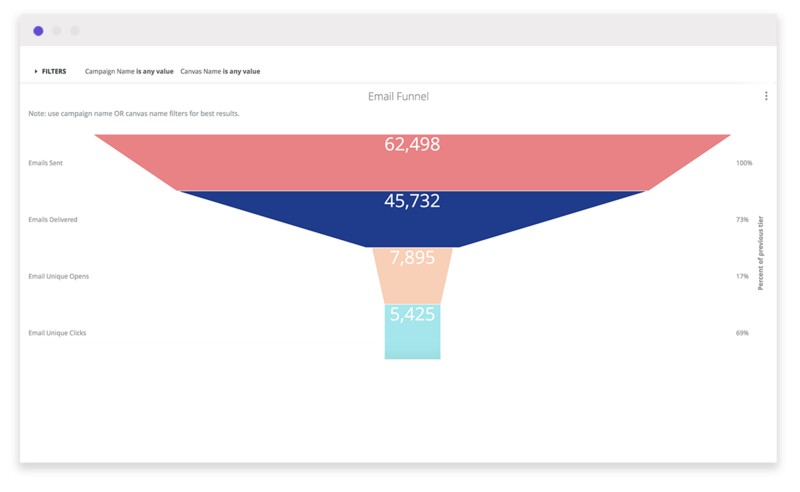 The current version of this block analyzes message engagement funnels. 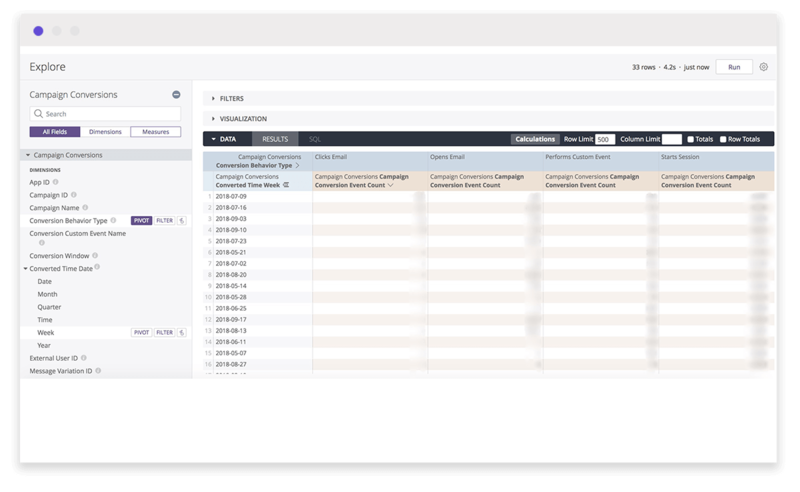 This Block uses events from the Message Engagement category of Braze’s Currents product, a data streaming export that allows for granular exploration of event-level data. We provide pre-built Dashboards and Explores so you can easily view and leverage Currents data for your specific use case.